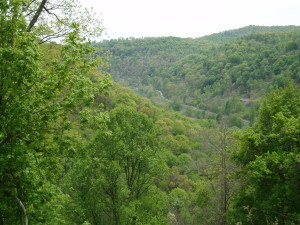 I am looking out across a broad river valley here in Western Pennsylvania. At least one third of the trees I see are red maples (the photo to the left was taken about a month after the photo in last week’s blog). Last week I wrote about the amazing reproductive potential of the red maple and the readiness of its seeds to germinate and survive as seedlings in almost any natural and human generated habitat. 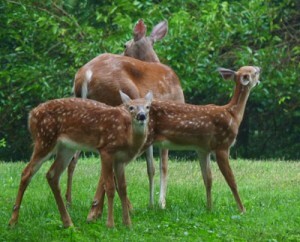 Now let’s talk about the ultimate forest sculpting force in Pennsylvania today: the white-tailed deer. Red maple seedlings are extensively browsed by deer in the winter. So, there is a large advantage for a seedling to grow as fast as possible in order to stretch itself above the browse level. Growth rates of red maples are prodigious: one foot height increases in the first year, two feet per year after that. Red maples, though, are also able to sprout after the above ground stem has been damaged. After a seedling has been browsed by a deer, for example, that individual can actually re-sprout at a growth rate of three feet per year! Sprouts, initially, have a faster growth rate than seedlings! There may actually be a selective advantage for a seedling to be browsed so that this accelerated growth spurt can be achieved! The symbiosis between deer and red maples, then, is complex and, on the surface, seemingly contradictory. Deer eat red maples voraciously in the winter. But this winter browsing may actually stimulate those red maple individuals that are capable of the most robust sprouting response, to attain dominance in their ecosystem! 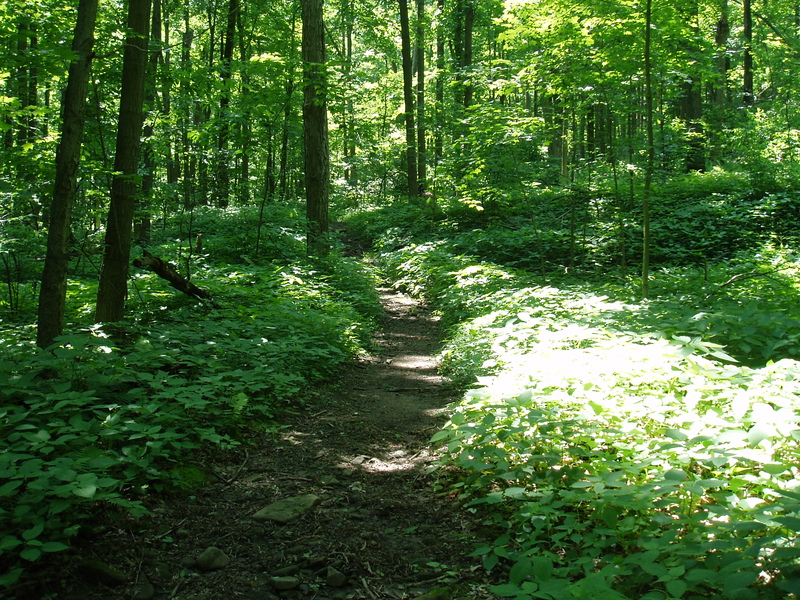 Further, the sheer numbers of red maple seedlings in a forest floor community make it likely, especially in years of abundant browse, that at least some of the red maple seedlings will be passed over by the deer and, thus be able to survive to grow. Tree species that generate smaller numbers of seedlings are less likely to survive this intense survival filter of deer browsing. Many insects feed on red maples, but few of these insects are serious, lethal pests. Gypsy moth larvae, for example, feed preferentially on oak leaves over red maple leaves possibly because of certain alkaloid chemicals that are present in the red maple leaf tissues. 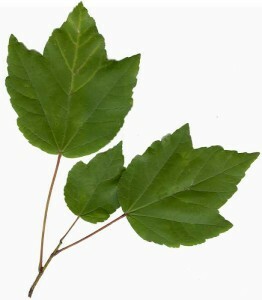 These alkaloids may also be an important in the red maple’s resistance against excessive summer leaf browsing by deer. Red maples are extremely sensitive to fire. 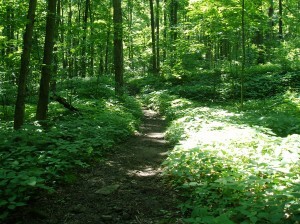 All of its life stages (seedling, sapling, “pole” tree, and mature tree) are easily damaged and killed by forest fires. Fire is a very effective way by which a forested ecosystem can be scoured clean of red maples! The minimal presence of red maples in pre-settlement forests and their predominant confinement to very wet habitats may be explained by the regular occurrence of fires in the drier habitats. Some of these fires, in fact, are thought to have been set by Native Americans in a management strategy that increased the dominance of oaks and sculpted the physical structure of the forest itself into a configuration more conducive to hunting and the support of deer populations. The wide-spread suppression of forest fires throughout the twentieth century may be an extremely significant factor in understanding the expanding distribution and abundance of red maples. The destruction of the pre-settlement forest opened many niches. 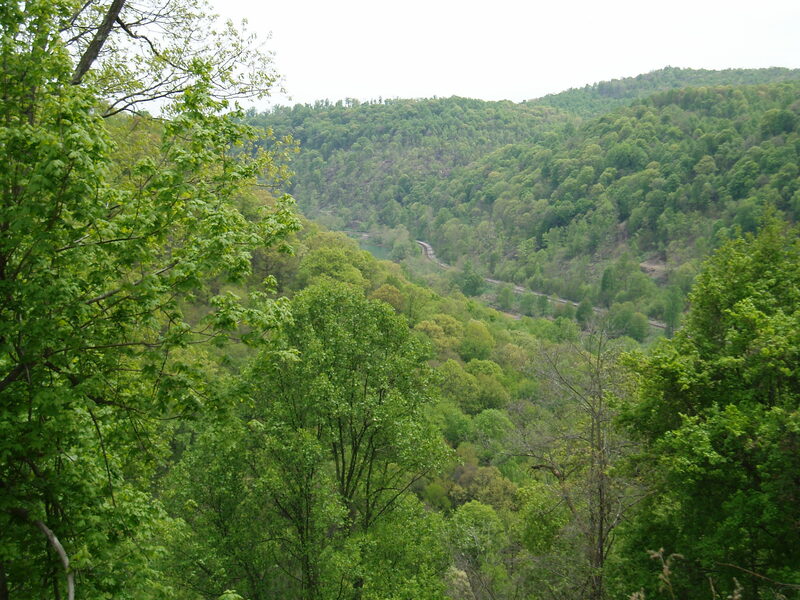 The failure of the hemlocks and white pines to reproduce, the loss of the American chestnut, and the on-going failure of the oak forest to re-establish itself reduced competition, and the incredibly fecund and adaptable red maple swept into the available ecological spaces. Will other tree species succeed the red maple? Will northern red oaks, sugar maples, or American beeches (all slow growing but very shade tolerant species) become established in the understories of the red maples and eventually grow into the canopy? Or will the red maples maintain their dominance via their staggering numbers and ecological tenacity? Check back in hundred years or so to see! An interesting aspect of any projections about forest succession in PA over the next 100 yrs will be the expected return of the American Chestnut. Back-cross trees from The American Chestnut Foundation’s efforts are already being re-introduced, and an even more promising genetically engineered American Chestnut has been developed by the team at SUNY which will likely re-enter an ecosystem near you in then next 5 yrs (its hard not to think of Odysseus returning home to reclaim his throne). How well this returning giant fares against the onslaught of whitetails will be fascinating to watch. My guess is that if they can get a foothold, they will outpace all competitors -especially if we can give them a leg-up by grafting to existing rootstock.